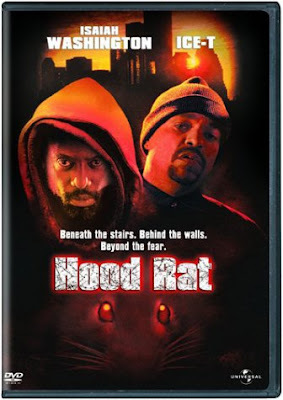 Hood Rat is absolutely terrible. It is one of the worst movies ever made. It is an urban version of Willard (1971). I just can't believe this movie got made, let alone distributed. Someone at Universal Studios thought that people would watch and like this "movie". The only good thing in this is Ice-T as the landlord. He was funny. The one thing I hate in movies is sped up action. Once or twice is bad enough, but the WHOLE movie is like that. Every scene transition is some fast motion special effect. The director should be banned from making movies forever. Trust me, never see this movie!